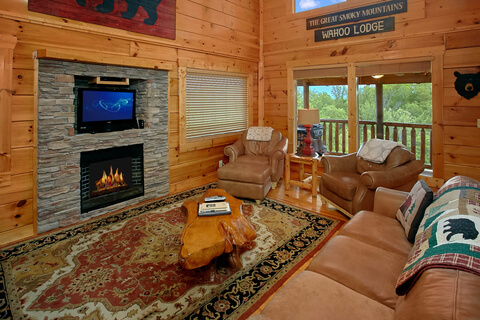 Smoky Mountain Cabins For Sale - Homes and Cabins For Sale In Gatlinburg, Pigeon Forge, and Sevierville, TN. You have just landed on the most comprehensive resource for all things related to Real Estate in the Smoky Mountains of East Tennessee. I have provided many valuable tools for you to use on this site. Whether you are buying or selling, everything you need can be found here. I am a licensed REALTOR® for Prime Mountain Properties in Sevierville, TN. I currently work with all buyers and sellers in the areas of Sevier County, Knox County, Blount County, and Jefferson County. These counties represent the cities of Seymour, Boyds Creek, Kodak, Sevierville, Pigeon Forge, Gatlinburg, Wears Valley, Townsend, Knoxville, Maryville, and Dandridge. Whether you are relocating to the East Tennessee area, looking for a second home or investment unit, or live locally and moving to a new home, I can help. While I love all facets of real estate, working with buyers is what I love the most. **As Buyers agents, we will never charge you a dime. There is never a Buyers agent fee, or transaction fees that you will be asked to pay. We are paid entirely by the seller of the property. There are several different ways to search for property on my site from custom searches that I have already created by subdivision, price range, foreclosure/short sale status, or city to creating your own search on the Property Search page. I pride myself in my ability and experience in closing deals. This allows me to ensure that I give you the best, most professional service, that I know. To begin the process of looking for a new home or investment property, please visit the Home Buyers page above. Are you considering the sale of your home, land or commercial structure? I can help. Real estate in Sevierville, Pigeon Forge, Gatlinburg, Seymour, Maryville, and Knoxville is still thriving. There is no doubt that the market has slowed but homes are still selling. In these times it has become critical to enlist the services of a professional REALTOR® that can properly market your home in places that the buyers are looking. Over 80% of all buyers begin their search for their new home on the internet and continue to do so for weeks before ever contacting a REALTOR®. With an aggressive marketing campaign and strong search engine placement I can expose your property to buyers globally! There are many other steps that must be methodically carried out to move your home from an "available" status to a "Sold" one. Some of those steps include the CMA (Comparative Market Analysis - What is my home's value? ), the listing agreement, marketing the property through local mediums, negotiations, inspections and finally the closing. My resources and proven track record can and will expedite the sale of your property. Contact me today for a free CMA. If you have any questions regarding selling your home or other real estate in East Tennessee please contact me at 865-719-4930. Many people that are interested in our real estate market here in East Tennessee are specifically interested in buying and/or selling log cabins in Gatlinburg, Pigeon Forge, and other areas of the Smoky Mountains. A large majority of our residential market consists of these log cabins even though they are largely considered an investment item. That's not to say that people are not buying them for strictly personal use or as a second home, they are. Cabins for sale in Gatlinburg, TN are in abundance. There are a number of great deals to be had, particularly in the way of the foreclosure market on these investment cabins. For a list of Foreclosed Cabins in Gatlinburg, Pigeon Forge, and Wears Valley just follow the highlighted link. If the foreclosure market is not your thing then you can also view all log cabins for sale in Tennessee's Great Smoky Mountains that are not currently in foreclosure or short sale. Cabins For Sale In Gatlinburg - Is It Still A Good Investment? "Wow!!!! Did we strike it rich when we found Mrs. Annie Maloney to help us in our quest to find a new home in the Sevierville, TN area. We had ... more "
"Annie & Matt are the dynamic duo when it comes to real estate in the Smokey Mountain market! I initially found them through their website, which is ... more "
"I am a professional realtor and investor and work with many realtors nationwide. However, I have never met one better than Annie Maloney. She is ... more "